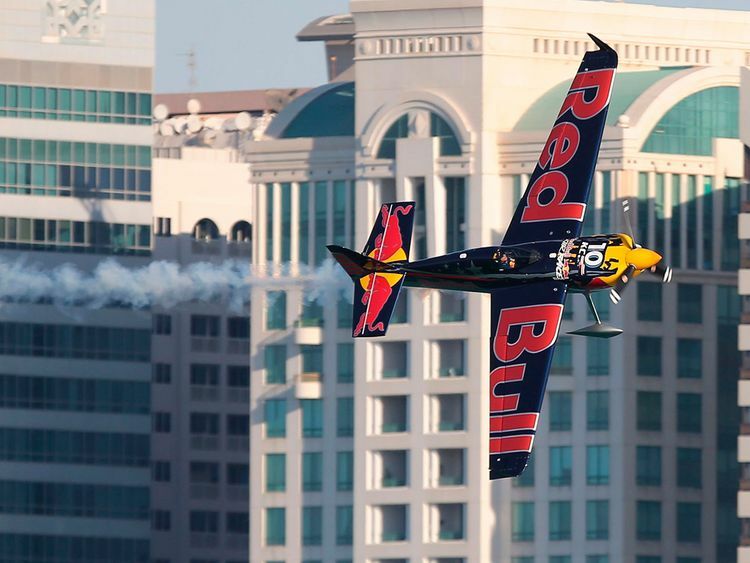 Abu Dhabi: Daredevil pilots took to the skies over Abu Dhabi Corniche yesterday for day one of the Red Bull Air Race. Thousands of spectators looked on as the single-seater planes negotiated the tricky course over the waters of the capital at speeds of over 370km/h. Japan’s Yoshi Muroya topped the time sheets, ahead of Canadian Peter McLead and Mike Goulian of the United States. Defending world champion Martin Sonka was a disappointing eighth. The action gets under way again today from 8am and continues until sundown.